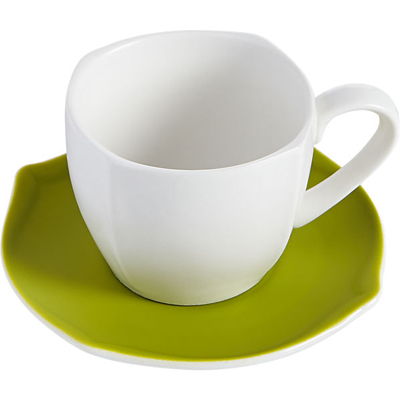 This Eddie White Teacup with Green Saucer features a white porcelain teacup that sits on a sculptural saucer topped with a surprise pop of green silicone. $4.95 Sale $3.49. Buy here.